What better way to announce the newest addition to your family than a uniquely designed photo birth announcement? Whether your taste is traditional, modern, simple or quirky, LookLoveSend has a special baby announcement card design waiting for you. Simply upload one or more of your baby's photos, enter your customized message, and within minutes you can order beautiful quality cards to announce your baby's arrival. 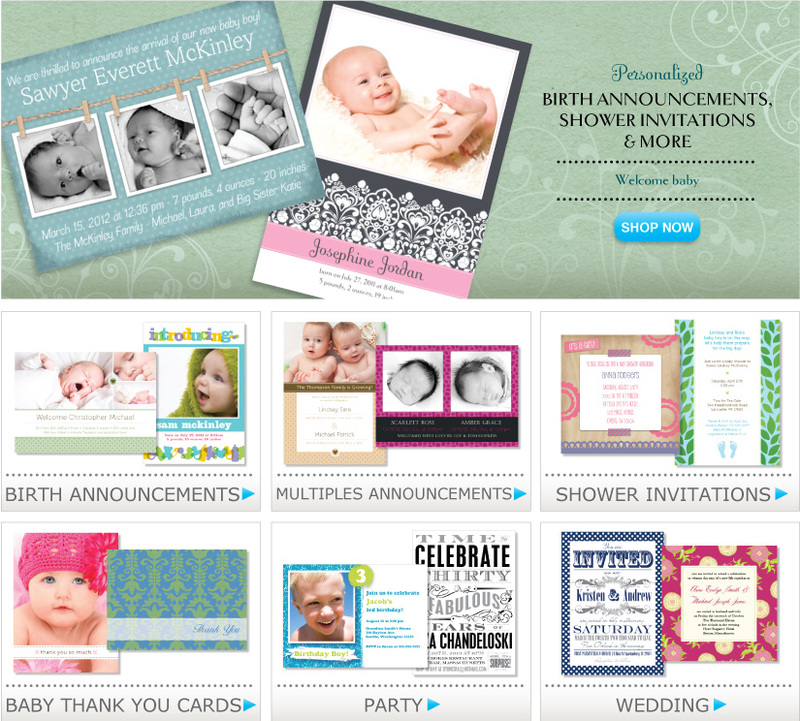 LookLoveSend offers a broad range of girl baby announcements, boy photo announcements, birth announcements for multiples and baby thank you card. Our birth cards are printed on premium quality paper and designs are consistently updated to keep our offering fresh and exciting. Time is especially precious with a newborn at home; we strive to make your birth announcement card selection and production a simple process with a memorable result.